MELVILLE, NY (Feb. 2, 2010) - Today, Nikon Inc. continues the tradition of blending innovation, design and performance in its line of COOLPIX compact cameras with the introduction of four new COOLPIX Style Series cameras. The S-series cameras provide users with innovative and fun features such as long zooms, speedy performance, advanced flash controls, touch-screen technology, and enhanced high resolution LCD screens in sleek, stylish camera bodies. 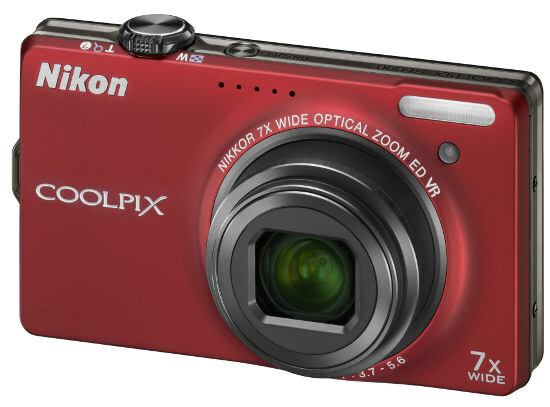 In an impressive slim body, the new COOLPIX S8000 digital camera sports a long 10x optical zoom, 720p HD Video, and a 3.0-inch 921,000-dot LCD screen with bright Clear Color Display. Not to be outdone, the COOLPIX S4000 blends a user-friendly touch-screen interface with an elegant camera design, while the COOLPIX S6000 and COOLPIX S3000 digital cameras deliver the speed, accessibility and ease-of-use that have made the S-series the camera of choice among consumers who value style and performance. "Building on the hallmarks of the COOLPIX line, the new S-Series cameras combine the features consumers want, along with high performance and innovative technology into elegant camera designs with colorful results," said Bo Kajiwara, director of marketing, Nikon Inc. "The digital camera has become an accessory to today's consumer, and with the S-series camera, users can challenge their creativity, and complement their sense of fashion." All new COOLPIX S-series cameras incorporate Nikon's world-class NIKKOR lenses, delivering accurate detail and brilliant color, as well as Nikon's EXPEED™ digital image processing concept, which ensures high-quality pictures with stunning color and sharpness. Many of the new S-series models embrace the addition of High Definition (HD) video by adding an ideally located video record button on the back of the camera. Other COOLPIX features include Scene Auto Selector, which automatically recognizes the shooting situation and adjusts camera settings accordingly for great pictures anywhere. To make better portraits easier, the Smart Portrait System incorporates a series of automatic functions including In-Camera Red-Eye Fix ™, Improved Face-Priority AF, Face Priority AE, Smile Mode, Blink Warning and Skin Softening to flatter even the most camera-shy subject. Hidden inside the COOLPIX S8000's slender body resides a powerful and versatile 10x Optical Zoom-NIKKOR ED glass lens that produces incredibly sharp, crisp images up close or far away. To banish the blur at any focal length, the S8000 features a 4-way Image Stabilization System and ISO settings to 3200. Additionally, the S8000 has the ability to record HD movies (720p) at 30 frames per second (fps) with stereo sound, and features an ultra high-resolution 921,000-dot Clear Color Display LCD for sharp, clear viewing of images. To further help users snap stunning photos easily, the COOLPIX S6000 features ISO 3200; 4-way VR Image Stabilization System; Subject Tracking; Scene Auto Selector Mode; Nikon's Smart Portrait System all packed into an ultra-stylish design. Integrating elegant design and intuitive operation, the new COOLPIX S4000 digital camera comes equipped with a touch-screen interface that places the camera's controls at the users' fingertips. The COOLPIX S4000 incorporates a new 3.0-inch 460,000-dot touch-panel Clear Color Display LCD, which makes it easy to compose, review, edit and share pictures. The 12-megapixel COOLPIX S4000 features a 4x wide-angle Zoom-NIKKOR lens, ISO sensitivity to 3200; 4-way VR Image Stabilization System; Subject Tracking; Scene Auto Selector Mode; Nikon's Smart Portrait System and a compact stylish design. 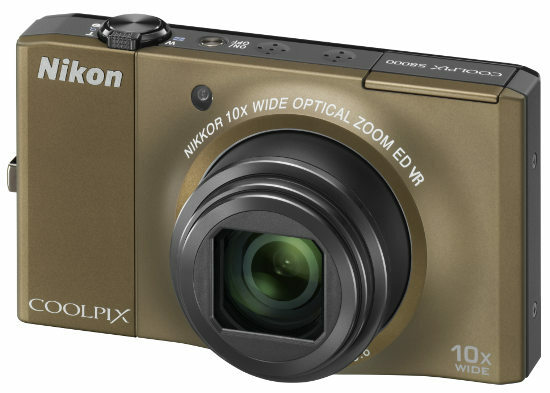 Sleek design, attractive colors and innovative technology truly set the new Nikon COOLPIX S3000 digital camera apart from the competition. 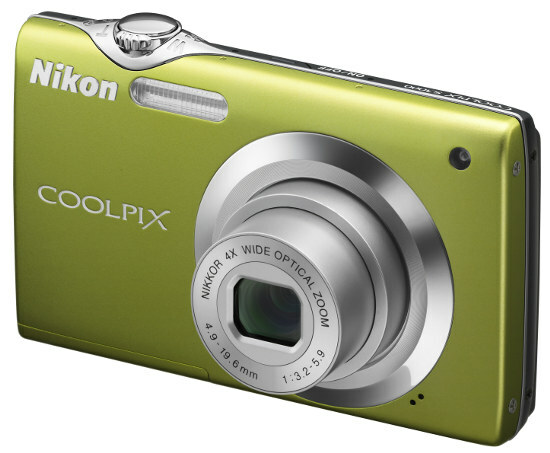 The COOLPIX S3000 comfortably places advanced shooting controls in the hand for great fun and optimal results. User-friendly advanced features and ease-of-use, along with the camera's compact size make it a pleasure to carry around anywhere from the family reunion to a night on the town. With the stylish looks and the vivid color choices of the S3000, the camera is the perfect tool to express one's personal style. 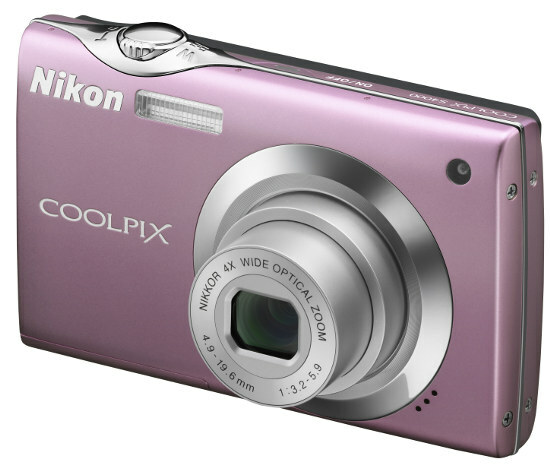 The COOLPIX S3000 also includes a bright 2.7-inch 230,000-dot LCD screen designed to make it easy to compose, review and share pictures. The 12-megapixel COOLPIX S3000 features a 4x wide-angle Zoom-NIKKOR lens; ISO 3200; 4-way VR Image stabilization System; Subject Tracking; Scene Auto Selector Mode; Nikon's Smart Portrait System and a colorful and compact design.